In partnership with our clients, BK Ultrasound and Trice Medical, Bresslergroup is pleased to announce that Sonic Window and mi-eye+® have been chosen as finalists in the 2016 Medical Design Excellence Awards (MDEA) competition. MDEA is a worldwide competition that recognizes products that are commercially available and approved as a medical device either by the U.S. FDA or other relevant notified body. The 2016 MDEA competition includes ten different product categories that represent instruments, machines, implants, in vitro reagents, mobile medical applications, or other related products. 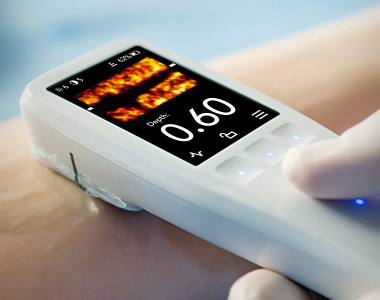 The Sonic Window, selected as a finalist in the MDEA’s Radiological and Electromechanical Devices category, is a self-contained, ultra-compact, handheld ultrasound device designed to improve patient outcomes by enabling clinicians to quickly and easily achieve vascular access at “first stick.” UPDATE: BK Ultrasound Sonic Window won a GOLD MDEA! mi-eye+® was selected as a finalist in the MDEA’s Diagnostics Products and Systems category. 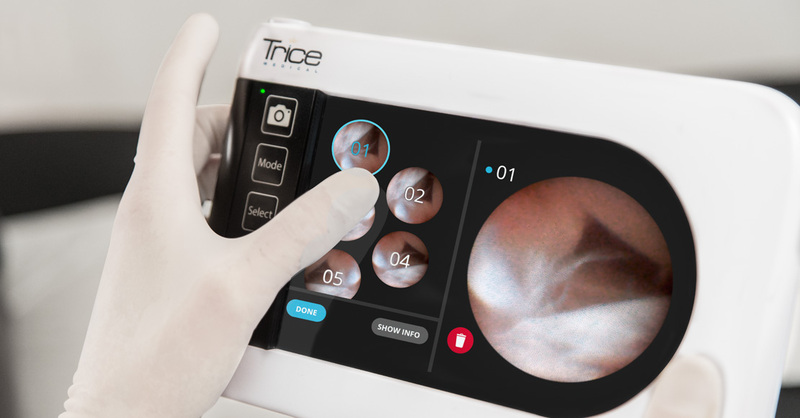 It is an integrated, single-use visualization device that uses a standard 14-gauge needle with an integrated camera and light source to perform a diagnostic assessment of a knee or shoulder in a physician’s office. A separate LCD tablet, running on Android OS, attaches via a data cable from the mi-eye+® needle. mi-eye+® was designed to provide a more immediate, definitive, and less expensive diagnosis, eliminating the potential false reads of indirect modalities, such as MRIs. Its micro-imaging technologies provide a clinical solution optimized for the physician’s office, resulting in more immediate patient care. MDEA award winners will be announced on June 14th. UPDATE: BK Ultrasound Sonic Window won a GOLD MDEA!